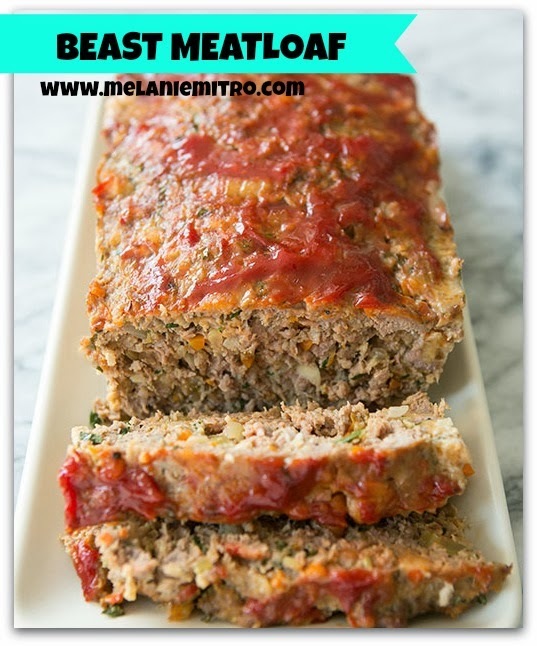 This meatloaf recipe is a family favorite and even my 3 and 5 year old will eat it. There is nothing like comfort food on a cold winter day! My husband is a huge meatloaf fan and his family makes a killer meatloaf but it's just not so good on the waistline. So we didn't want to give up meatloaf all together so we found this replacement! Preheat oven to 375 degrees. Combine turkey, salsa, bread crumbs, egg, garlic, salt, and pepper in large bowl. Press mixture into 9x15 inche loaf pan, or form into shape of a loaf and place on ungreased 13x9x2 inch baking pan. Bake for 60 to 70 minutes or until center is no longer pink and meat is cooked through. Let stand 10 minutes before serving. Cut into 8 slices and serve garnished with parsley. Pair with sweet potato and steamed green beans for a complete meal. What's a recommended serving size? Thanks I'm excited to make this!! This is a great recipe. I made it tonight and it was yummy! Delish! Thanks for the recipe! My husband who has never been a fan of meatloaf told me I could make it again. :) I love that it was easy to throw together which makes it a perfect weeknight recipe! Making this tonight for my guys! Thanks, Melanie! I have everything but the bread....going to try it with oats. Hi did the oats go? I noticed that you are using my photo of meatloaf. I'm delighted that you like it enough to post it here on your site. I ask that if you would like to continue to use it that you provide attribution next to the photo in the form of a working link to the source recipe on my site, which is: http://www.simplyrecipes.com/recipes/classic_meatloaf/ Thank you so much for your consideration! I noticed that too because I have your recipe. I wish people wouldn't do that. You handled it well Elise. Am I missing something? The picture has ketchup on top, but I don't see that on your ingredient list? It would be good to use it as a base for adding whatever else you wanted, but I don't want to mess with a good thing. This is IT for all you cooks.